This is a small gas kiln I use for testing glazes, and sometimes firing work when I just absolutely positively have to ship it the next day. 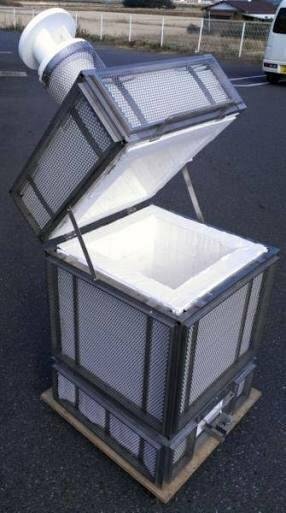 This kiln is unique in that it is made from refractory fiber and is extremely efficient. I can fire to 1300C in about 4 hours, using one small burner. Very little fuel is spent per firing. There are some drawbacks though, unfortunately. One is the quick cool down time. For very vitrified clay bodies, there is a tendency to crack if the cooling cycle is too fast. For me this is not a problem, but I do have one other big complaint with the kiln: no peepholes. 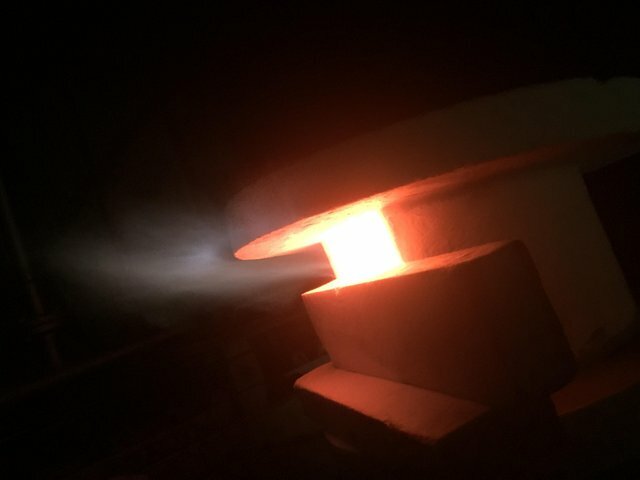 There is a small hole to insert a thermocouple to measure temperature, but pyrometers are a poor indication of the actual heat work happening in the kiln. I don't like to use pyrometers for this reason. If you don't like fire that much, probably an electric kiln is the way to go. Not so much contact with the actual fire. My favorite kiln is my wood kiln. I think most wood kiln firers have at least a little bit of pyromaniac in them!